To install a mouse pointer on windows, go to your control panel, choose "mouse," then, choose the "pointers" tab. Select the role that you want to change. 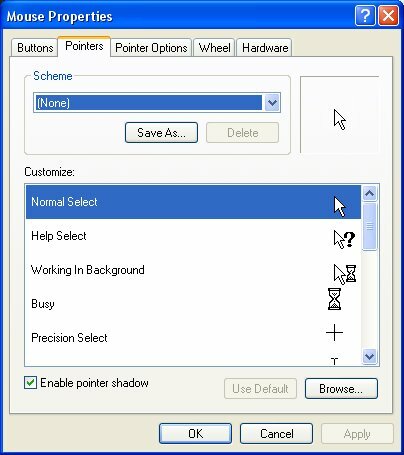 IE: Normal select, Working in background, etc. Then Choose "browse" and select the cursor that you want to use. Select "apply" when you are done. To install a Microsoft Flight Simulator repaint, open the readme file included with your repaint and follow the supplied directions. Or if all I did was confuse you, try this tutorial.